If there’s one thing footballers are famed for off the pitch, it is owning some of the most stunning/gaudy (delete as you see fit) cars on the road, and with the average Premier League footballer earning in excess of £150,000 per week, you can’t really blame them. So, you’re not likely to catch them cruising around in an ancient Rover 25, but which cars are the preferred chariots for that arduous commute between Alderley Edge and Old Trafford? The Cayenne has been a go-to choice for many footballers since it was introduced well over a decade ago and it’s easy to see why: big, flash, a hefty list price and of course, that all-important Stuttgart badge all weigh in its favour. Notable owners include Yaya Toure, Robin van Persie, Chris Smalling and Steven Gerrard and, with the range-topping Turbo producing 500bhp, its 0-62mph of 4.7 seconds makes it ideal for seeing off those pesky papps after a training session. It’s not all big SUVs though. Times are changing, and even footballers have the upcoming VED changes to worry about. With that in mind, BMW’s brilliant i8 hybrid supercar fits the bill perfectly. In fact, until 1 April this year, you even get a bonus £4,500 grant from HM government if you decide to go green. Wayne Rooney is known for driving one, while following their unbelievable Premier League win last year, Leicester City’s chairman decided to get on the eco-friendly action too, buying i8s for his entire team. 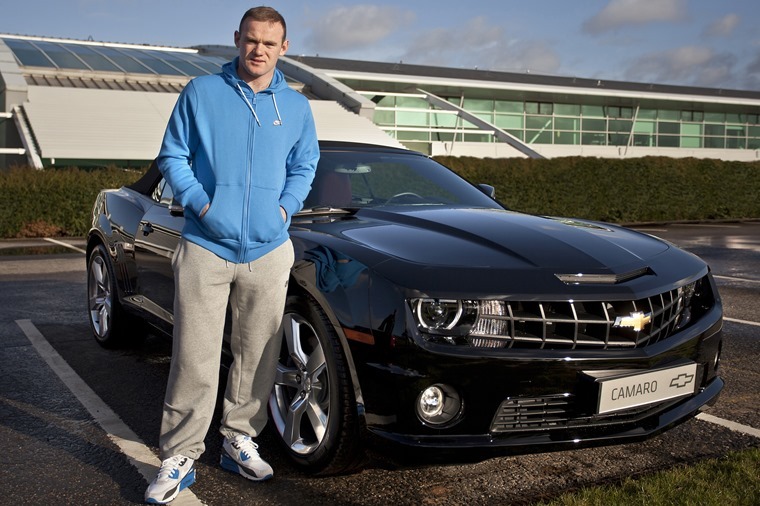 A footballer in a sensibly-priced Chevrolet SUV? Surely not? 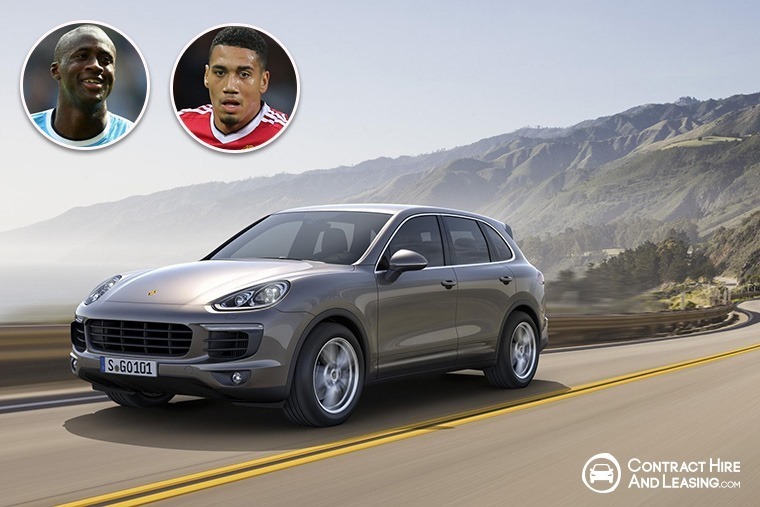 No, we haven’t gone completely mad, although Manchester United’s corporate sponsor, Chevrolet did, back in 2014. Following a £47m-per-year sponsorship deal, you can’t really say the Chevy bosses were asking too much when they demanded players occasionally be seen out and about in their products. 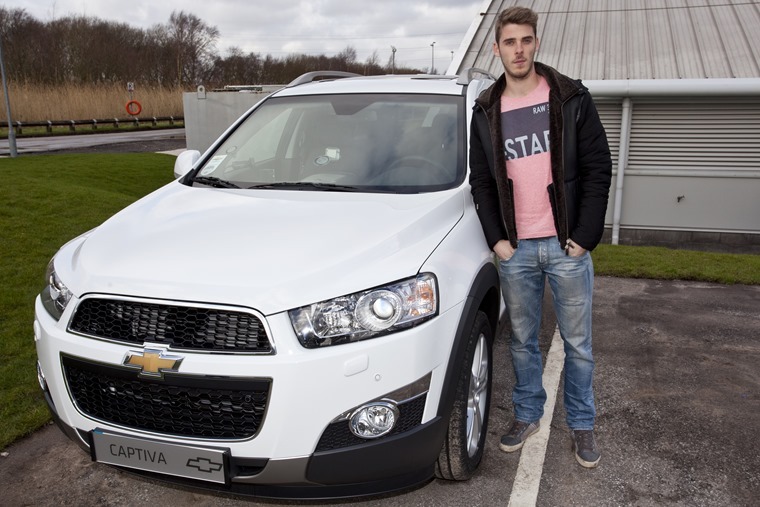 The likes of David De Gea and spotted driving around in the Captiva, a practical SUV. Like the rest of Chevy’s European range however, it has now disappeared, leaving only the true, red-blooded American Camaro and Corvette on the UK market – something we reckon the players will be thankful for. 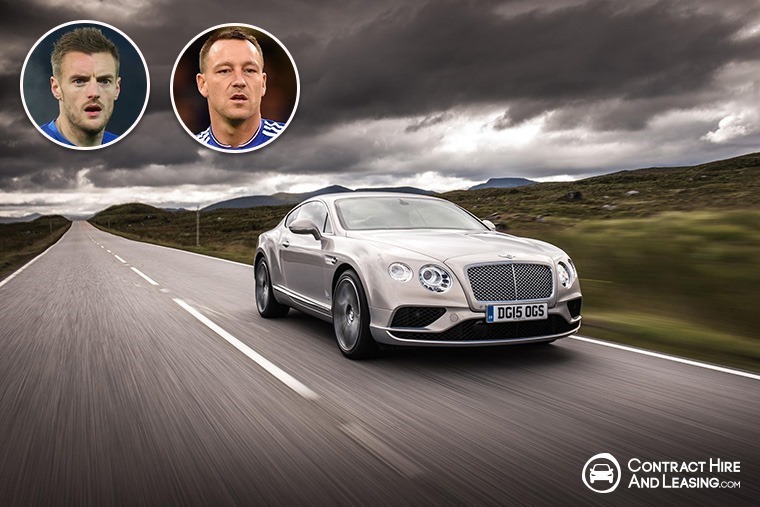 As far as footballers’ cars are concerned, the Bentley Continental GT can be considered the one that kicked it all off. Marcus Rojo, Chris Smalling, Jamie Vardy, Alexis Sanchez, Kevin Mirallas, John Terry and David Beckham all feature on the endless list of Continental-owning pros. There’s a choice between a roaring V8 and a supremely refined W12 and, with its British sophistication and Germanic build quality, it’s small wonder it has become the luxury motor of choice for the sporting stars who can afford it. Remember when we said it wasn’t all about big SUVs? Well actually, it is. The latest gargantuan fashion bauble to grace the Premier League car park is the Mercedes-Benz G-Class, specifically the fire-breathing, 540bhp AMG 63. Despite its rather retro appearance, it’s got the power to make it fast enough to keep up with much sleeker vehicles, while the 760Nm of torque also enables you to pull a house down should the feeling take you. What more do you want for £135,000? 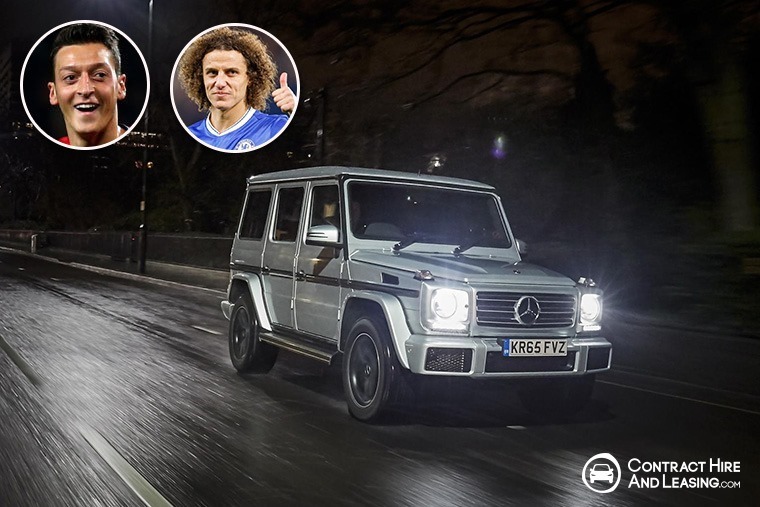 Despite their jaw-dropping wage packets, not all footballers are keen on such flashy motors. 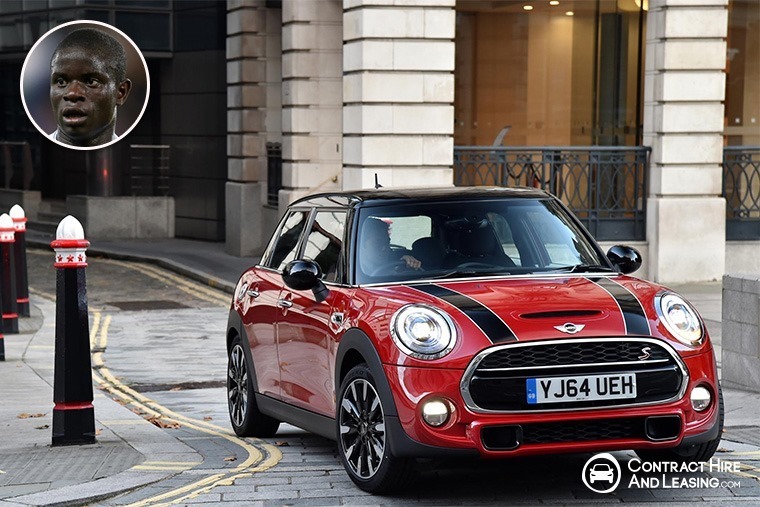 If you’re after a footballers’ car, you might want to consider a Mini; that’s what Chelsea midfielder N’Golo Kante drives anyhow. When the ex-Leicester City star first arrived in the UK, he apparently didn’t have a car at all, but since signing with Chelsea he’s been spotted en route to training behind the wheel of his rather modest Mini Cooper S five-door; a far cry from some teammates’ exotic machines, but a good choice nonetheless.